A lot of people prefer the Nintendo Wii to other gaming systems because it has fantastic graphics, enjoyable games and a fantastically unique controller that can do much more than other controllers. The Nintendo Wii controller can be used with actual punch and swing actions during game time. Aside from these great features, the Nintendo Wii can also be used to play movies. Here is how you can do that. Select a movie you want to watch on the Nintendo Wii. Obtain a copy of the movie you want to watch by downloading it from the Internet using your computer or any other legal means. Keep in mind that it is a criminal act to rip or download movies from studios without paying through www.itunes.com or another legitimate site. Doing so could result in prosecution and/or your facing jail time and/or paying stiff fine. Determine if you have the right format. You can play movies on the Nintendo Wii only if the movie files are in specific formats, namely DivX, Avi, MPG or MOV. You may be able to get a legal copy already in one of these formats. However, if the legal copy you have is not yet in the proper format, convert the movie to your desired file format with the use of a format converter. You can get a free installer of a format converter by searching the Internet. Buy a Secure Digital (SD) card. The bigger the memory capacity of the card, the better. Use an SD card that’s at least two gigabytes in size. You can find an SD card on eBay or any other online shop or at BestBuy or any other electronics specialty retailer. Place the SD card in your personal computer or laptop and save the movie (which should by now be in one of the movie file formats readable by the Nintendo Wii) on the SD card. Get a copy of Wii Video 9, the program that will play the movie file on the Nintendo Wii. It is freeware that you can download from the Internet and takes only a few minutes to run. Insert the SD card in the Nintendo Wii. 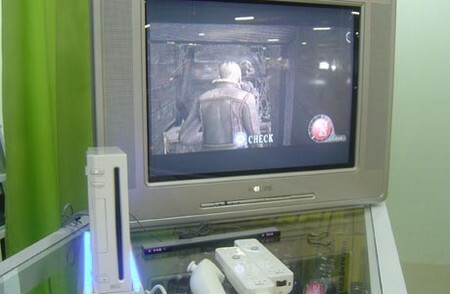 Change the setting of the Nintendo Wii to the photo channel. Using the Nintendo Wii controller, select play to start the movie to roll.